Tetbury, Gloucestershire, view from the Market House. 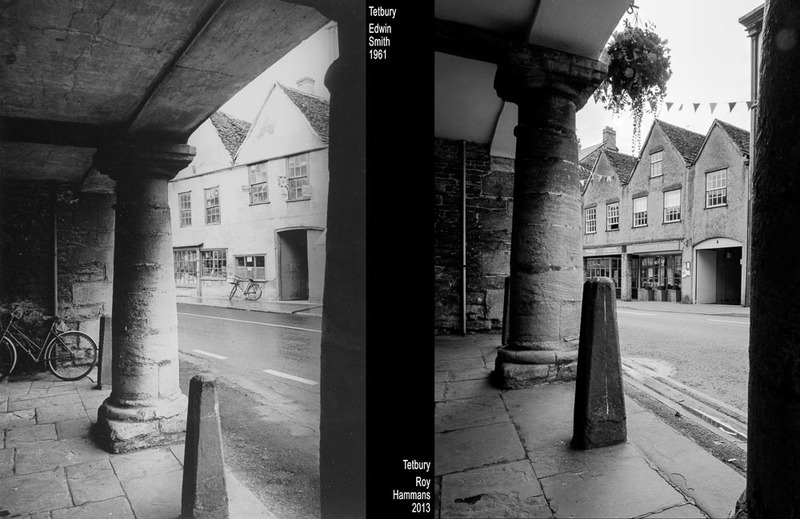 A trip to the Cotswolds in 2013 provided the opportunity to visit some of the places Edwin Smith had documented in the 1950s and 60s. Of the images I produced, this is perhaps the least successful as my viewpoint was wrong. No excuses really, except that a long wait for market stallholders to remove their wares from the area I needed to work in and the difficulty of avoiding vehicles made it quite a rushed endeavour in the end. Interestingly, although superficially the same in appearance, the buildings across the road were rebuilt to replace the originals in 1970. The road is now hard against the collonnade of the Market House. Over 50 years on, they are still timeless. 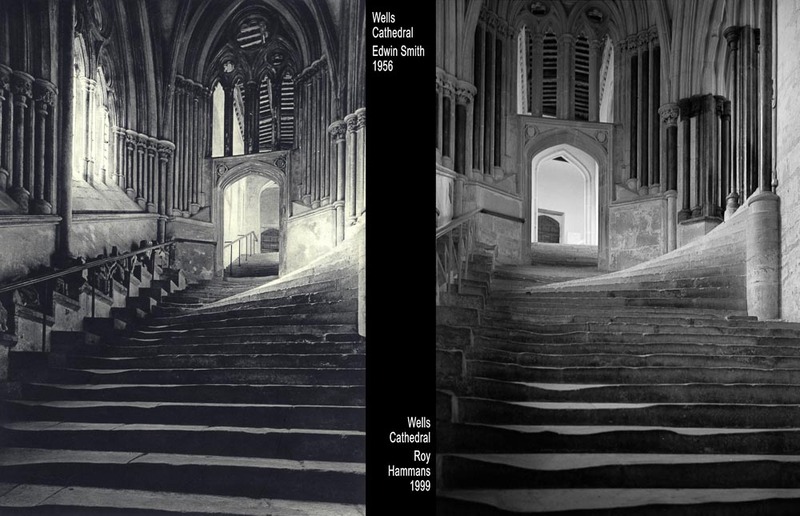 When I visited Wells Cathedral in 1999 I was not aware of Edwin Smith’s photograph of these steps leading to the Chapter House. 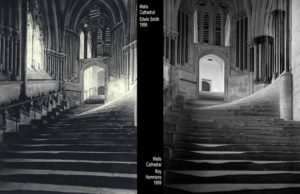 My intention was to attempt a version of the famous photograph by Frederick Evans, taken in 1902, known as ‘The Sea of Steps’. It had long been a favourite. 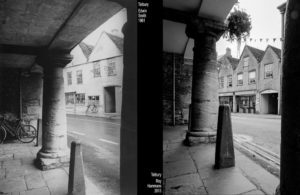 So my viewpoint is different – although this scene has been photographed so often one could almost place the tripod in the holes worn in the floor by others… One of my images is a close approximation to Evans’s original, shown on the next page.